Power users reveal the features that make inbound marketing with HubSpot unbelievably easy. According to the users we surveyed, nothing makes growing traffic, leads and sales easier than HubSpot does. To build an inbound marketing machine, you need to attract, capture, track and close qualified leads as they move from awareness to purchase. The fact that HubSpot lets you do all that in one product is a big plus. But, as we surveyed HubSpot customers and partners, we discovered users have fallen in love with individual features too. “HubSpot COS templates are easy to deploy and you can download them from their marketplace. Templates accelerate the time to launch for Marketers and also leverage best practices. And templates aren’t just limited to websites. HubSpot also has templates for emails, landing pages blog designs and even email templates for their sales tool. We call it a “template mindset”. Because templates mean focus. The tools marketers have are complex, but the digital environment allows us to validate and deploy best practices at scale. With templates, marketers don’t have to reinvent the wheel. Templates bake those best practices into them. include pictures, videos and cta’s. The Design Manager is a great feature that Hubspot offers because it provides a “Block Building” template structure that allows for easy web design and editing. This feature also offers Global Groups so that you can create a feature for your website and implement it across multiple pages with the click of a button. Design manager greatly increases the speed at which you can build, edit and expand your website. HubSpot has a very intuitive system that allows us to save time editing the blog posts. It’s an easy tool to have your blog ready in no time. I’m obsessed with making lists! Probably a little too much. Basically, any time I have a question about our leads – how many came from page X? How many downloaded 2 ebooks and attended a webinar? I race into lists and start building. The only downside is that we have more than 500 lists now, and I can’t remember what half of them are! The lists tool is an oldie, but goodie. The lists tool offers tremendous power along the lines of marketing segmentation, performance analysis, and administrative support. In a world of marketing (and sales) that demands increased personalization, the lists tool allows us to slice and dice micro-segments of our database so that we can be hyper-personalized in our communications. Not only that, the performance pieces allows us to measure the performance of that micro-segment. For example, we’re able to observe the growth or decline of a very specific targeted segment. From an administrative perspective, we’ve created smart lists that help us manage certain areas that need to be updated on a regular basis. Since the tool is dynamic, any time a contact meets specific criteria, it will be added to the list for us to manage. This is a better solution than combing through thousands of contacts regularly and making manual changes. Are people interested in this content topic? Why? What do they find valuable about it? What social media platforms tend to be most active? Is this where our audience is and how can we leverage it further? How can we improve our presence on other social media platforms? Are we following our brand guidelines? Do our posts match our messaging and priorities? “I don’t think the Social Media Management tool gets enough praise. I’ve used numerous social media management tools to schedule, organize and analyze posts for my customers that are not on HubSpot. I have not found one option that is as easy to use and saves me so much time when I’m scheduling posts for our customers. “This is more than just one feature, per se. Rather, it’s the ability to really use the concept of personas to achieve business results. HubSpot brings together so many tools, and by being fully integrated, both captures data and allows for the dynamic use of that data. HubSpot’s Smart features are impressive because they allow users to easily and unobtrusively personalize marketing communications. Examples of these are the Smart CTA and email features which can provide content tailored to the behavior or journey stage of the lead in question. HubSpot’s Smart features are simple, effective tools for adding a personalized touch to your inbound marketing. Personalization and user experience are critical to connecting with people online, and building in smart content allows HubSpot users to offer the content most relevant to their audience. The ability to show different content depending on where someone is in the buying process plays an important role in moving them down the sales funnel more effectively. Using smart content for personalization of things like name, location and previous purchases can dramatically improve engagement. We are using smart content in concert with segmented lists of leads in targeted vertical markets. This allows us to build in targeted messages that will resonate with those industries into areas of our website that are heavily trafficked but wouldn’t otherwise speak specifically to those audiences. “With smart content, we manage personalized content to gain new leads and get loyalty from the current clients. It’s amazing how you can personalize almost everything with this feature, landings, email, website content and even CTA’s. HubSpot’s “Campaigns” feature is where it’s at for us! As marketers, we are juggling so much at once – clients, emails, social media posts, blogs, landing pages, forms, leads, analytics – you get the idea. Keeping everything organized and sorted into separate campaigns helps us visualize the end goal and see how all of these tactics work together as a whole. HubSpot’s holistic and automated approach makes our lives and our jobs much easier – and much more effective. We love how HubSpot’s campaigns feature displays all of our tactics and allows us to visualize the workflow and spot gaps in our strategy. All of the analytics associated with a specific campaign are right there for us to measure the effectiveness of our approach and how we can improve in the future. The HubSpot/Salesforce integration is the key to a symbiotic Marketing and Sales relationship. Its out of the box functionality establishes the foundation for advanced customization to the specific needs and existing processes of any organization. I love the feature because it eliminates the need for custom development work and enables Marketing and Sales professionals to create a system that successfully manages prospects from anonymous website visitors all the way to delighted customers. When implemented correctly, the HubSpot/Salesforce integration is a seamless, organized, and essential tool for any organization seeking process, accountability, and measurable results in their Marketing and Sales efforts. “Seeing a snapshot of traffic sources (direct, organic, referral, social, email, other) at any given time is invaluable – particularly when you can also see the percentage of visitors from each source who convert on forms and who become customers. This extended information makes it easy to compare the value of the traffic from each source. Yes, I know I picked two features, not just one, but they are closely intertwined. We are really big on making decisions based on data. Yes, there is of course art and gut-feel, but many times that can lead you down a garden path. We really get great value from the data we can get from automated emails, so we know what’s working, what isn’t, and where we can improve things to give our clients an even better ROI. The key is not to ‘set and forget’ though. Our data analysts have an ongoing process of reviewing CTA’s, Landing Pages, emails and all other assets to make sure that an opportunity isn’t overlooked. Smart Lists in HubSpot aren’t just smart – they’re genius, and come in handy throughout the platform! Easy for any user to learn, and available for every subscription level, one of my favorite things to do with Smart Lists is to create custom reports. Recently, one of my clients needed to report on offline event leads being worked by specific members of the sales team. Working in tandem with data from Eventbrite and Salesforce integrations, I was able to generate a simple report that illustrated the event’s leads by lifecycle stage and the revenue generated (as a marketer, you know how important it is to justify costly events! ), and then save it to their main Sales Dashboard. The best part: because the reports are based on “Smart” lists, they’re always updating in real-time. 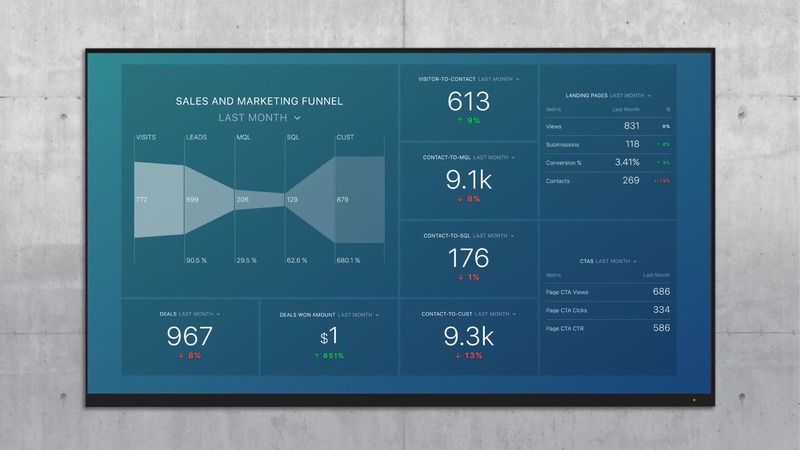 In one glance I can see how we’re tracking towards marketing and sales goals. Whether that’s traffic, leads, sales rep activities, or pipeline goals, it’s a daily reminder that keeps us on track and meeting our targets. Seeing entrances, average time on page, bounce rate, and exits on the page level gives you a great sense of content quality and how it’s resonating with your visitors. You can take what is performing well and use that data to improve what is not from a UX, content and design perspective. As a performance-driven company, the greatest thing about the Analytics tool is the visibility it offers. For us, increased visibility essentially means more data that we can use to inform our decisions. The more strategic we can be for our clients, the better. 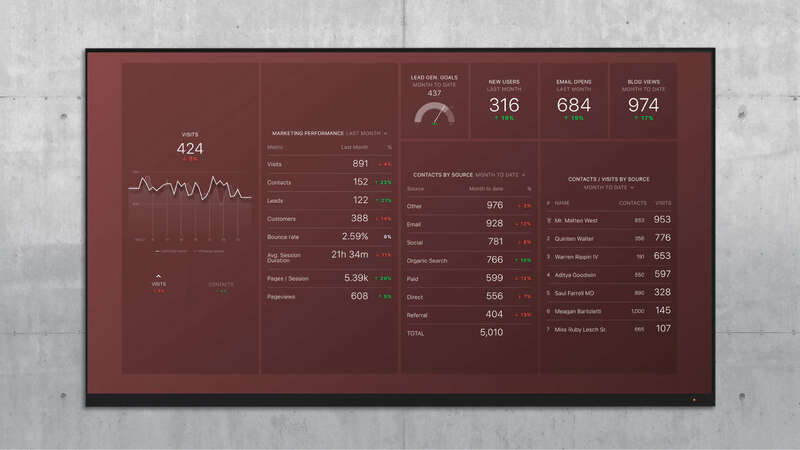 The Analytics tool grants us the luxury of real-time decision making and affords us with a complete awareness of how our clients’ channels and campaigns are performing, allowing us to fine-tune down to a granular level. Being able to work on a granular level is the bedrock of our iterative approach to digital marketing, so we use this tool a lot to make real-time tweaks to campaigns. Another crucial reason why we love this tool is that it allows us to comprehensively justify each and every one of the strategic decisions that we make for our clients. Going far beyond an overview, we can show them conversion rate breakdowns per channel, or per landing page, and even show them how people are arriving at their site. This kind of info is vital to our performance-driven approach and underscores the process of constant, always-on optimization that we offer to our clients. “It’s so hard to pick a single feature that I like best about HubSpot because they’re all important and useful, but I think if I had to pick one it would be the analytics and reporting features. Being able to quickly see what’s working, what’s not working, and adjust our strategy accordingly has resulted in a lot of success for our clients as well as HIVE. 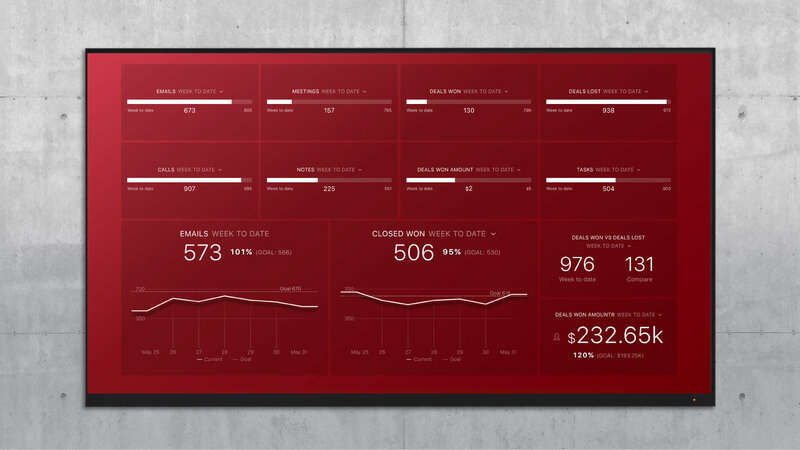 “On the surface, workflows seem pretty simple. Most people use them to send a series of timed emails. But with some of the new functionality that HubSpot has added, the possibilities for what you can do with workflows are almost endless. For example, we’ve used workflows (combined with HubSpot’s forms and smart content) to build interactive assessments on our clients’ websites. The visitors fills out a form and based on their responses, we send them a customized email response with their assessment results. The worfklow also includes follow on content offers, and notifies the sales team about new lead conversions along with the assessment results, which generally are a good indicator that the lead is qualified. I really dig Workflows, because it’s what drives HubSpot. The marketing automation engine is what it’s all about. Without it, it’s not scalable or even great – it takes all those small tasks of your hand and delivers great experiences, if setup properly. That’s pure magic in the marketing world and something I’m never going back on. Hubspot’s integrative workflow feature is the vessel of marketing automation. This smart function tracks your website visitor’s actions and triggers highly-targeted, timely follow-up emails to keep your company top of mind. You can set an email workflow to trigger for virtually any action, whether it’s a form submission, a change in contact status, or a click on a call-to-action (CTA) button. It’s integrated with all of HubSpot’s CTAs, forms, landing pages, lists, and emails so you have complete visibility for further optimization. At any point in time, you can go back to the workflow and see quick statistics on which touch points had the highest conversion rates, versus which ones could use improvement. From there, you can tweak and update content in the lower-performing email series to increase the quality and quantity of leads as they make their way to the end of the funnel. If you need a specific form filled out from clients (say, a registration form) you can create a workflow to automatically send an email out every few hours, days, weeks or even months until they click the CTA and fill out a form. This definitely helps save time in the long run and allows us to focus on more pressing tasks. It’s hard to pick just one feature, but one of the amazing things about HubSpot is that you can get creative with using the tools together. By using the combination of smart lists, Events and Workflows you can gain in-depth intelligence on contacts, get custom metrics and get very specific with contact segmentation. Plus, you get jobs done that would otherwise be very time consuming by putting Workflows to work to automate tasks! Even though they can be a bit intimidating in the beginning, especially with several possible flows, they are a great way to nurture the leads and keep them pushing to the decision phase (BOFU). There are so many possibilities how to use them and send emails based on triggers such as viewed pages, opened emails, clicks on a specific link in an email, and more. Workflows help marketers be more productive! When marketers think of a ‘Workflow’ tool, they’ll automatically presume that it is just email automation. Yes, HubSpot’s automation and segmentation functionality is extensive, but its Workflow tool goes much further than this. 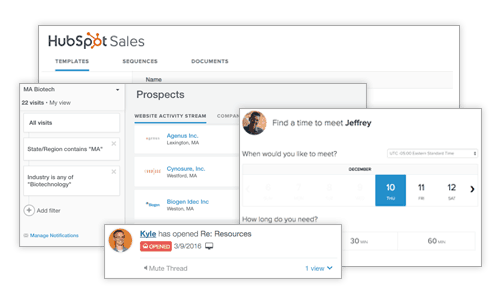 HubSpot’s Workflow tool allows marketers and salespeople to work together and automate tasks such as passing over leads, creating custom alerts and triggering a task. This functionality allows you to automate those mundane admin tasks that no marketer or salesperson really has time for. “I love how the options are practically endless in terms of what you can automate within a HubSpot workflow. Whether utilizing workflows for internal purposes, or externally to nurture our company’s leads and MQLs, I can trust that HubSpot is constantly working in the background and moving things along. This in turn allows me to devote my time and energy to the other areas of our day-to-day operations that require my direct attention, making HubSpot workflows a win-win in my book! “We use workflows for a variety of things, even some they were never intended for. They aren’t just about sending emails to your leads. “We appreciate how we can visually build out simple to extremely complex workflows with ease. This Hubspot feature has helped us automate a variety of processes for our clients that aid in moving leads through the sales funnel and ultimately result in an increased ROI. “When you view a contact in HubSpot, you can see all activity that contact has had with your company. What’s cool about this timeline is that it starts tracking the contact’s movements on your website before it even knows who the contact is. The user might visit your website multiple times over the course of days, weeks or months. It is really interesting to see the user journey before a submission. We can prove/showcase that we are adding value. The principle of the timeline is useful for prospecting. Knowing exactly how the prospect has interacted with our content is extremely valuable. For me the best feature in HubSpot is arguably the most simple. I love that I can see every interaction and piece of information I have on a prospect in one simple and clear view. What they have downloaded, their job title, how many employees the company has… Really anything in existence that I can get my hands on. From here it’s so easy to understand where a prospect is on their buying journey, what the next step is, what I need to deliver them, and more. The sales cycle becomes that much more simple. “Being able to get specific insights on the click-through rates for CTA buttons, the time spent viewing the email, and the percentage of people who are opening the email with mobile versus computer results in actionable insights that my team can use for our entire email marketing strategy. With HubSpot’s queued form questions, you can progressively profile your prospects by collecting useful information like company information, pain points, goals etc…in a frictionless way. This allows you to tailor and personalize marketing nurture and sales calls to each prospect and to identify and fast-track high-value opportunities. The CRM tool is a huge bonus. Being able to read all of a contact’s interactions with you in one simple place before interacting with them is great. Adding notes, saving files and emailing them from within the CRM keeps everything together. If you have a few different people working on the same prospect/ client, you can all update the CRM as you go and keep everyone fully informed on where the contact is in the funnel. “Imagine you have an account in Salesforce from Acme Co and it has a contact with the email sophia@acme.co who is currently in the Opportunity status. 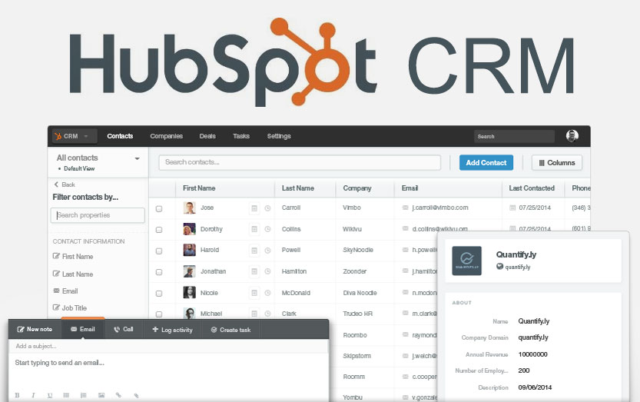 “When used in conjunction with the Marketing and Sales tools, the HubSpot CRM provides comprehensive, actionable information for sales reps. The features of the CRM are tremendous assets in engaging and guiding leads through the marketing and sales funnels. The contact and company records help salespeople engage meaningfully with leads based on leads’ interaction with marketing activities. Sales tools help streamline the follow-up process. The pipeline management features help executives and managers easily monitor milestones and funnel effectiveness. Favorite Feature: Documents. It’s from Hubspot Sales and they work together. If you are sending a document to a whole team, you can ask for an email before allowing the doc to be displayed. It gives you control over who will see what. The person that receives the document doesn’t need to download it in order to see it. It gets displayed from Hubspot’s platform. It’s a great feat for allowing the document to be accessed from any mobile device… and with the bonus of your branding displayed with it, very pro. “You’ve likely been using HubSpot for a while and have generated a few leads; or maybe you are using the CRM and are adding them from offline sources. The good news is that “Lead Status” is available to you. Let’s make it clear: Lead Status is NOT Lifecycle stage. Lifecycle Stage has a finite and fixed number of states (subscriber, lead, MQL, etc…). This is a finite and fixed number of states that a contact can be in that represent where they are in a perfect inbound marketing/sales funnel. OK Chris, I got it. Now what are Lead Statuses? Lead Status is a lead management tool. It does allow you to customize the “stages” and can be used for any purpose. In my experience, the Lead Status is the status for indicating what’s next for the sales rep for this contact, rather than who the contact is, or what the contact has done on the website. We love the deals section of our Hubspot Marketing platform for our agency as it allows us to create and keep a centralized database of client communication, notes, meetings, calls, and where our clients or potential clients are at in the sales process. We love the ability to easily see if we are maintaining our touch points on a weekly basis as well as asking ourselves critical questions and ensuring we are delivering on what our clients value, our KPI’s to reach their value, and what the vision is for each campaign and contact. My background is in marketing and web design. Because of that, sales, and bringing on new clients, is not one of my strong points. Deals helps me organize and track sales prospects from the first contact, proposal through booking a new client. Every email, document and correspondence associated with that deal is logged and displayed in one place. All my prospects are displayed in one graphic, the Deals Pipeline, so I can get an accurate overview of pending sales. Every company and individual associated with the deal is also tracked in the CRM, so I have all our correspondence in one place. It has helped this “non-salesmen” keep track his sales. As a Business Development Manager, it’s important to me that no lead is left behind. With HubSpot Sequences, I can create a series of personalized emails based off of templates I’ve already made. Once a contact responds to an email in the sequence, they’ll be automatically unsubscribed to the rest of the series. I love not having to constantly set up reminders to myself to send out emails that are so similar to one another, a big time saver! Sequences offer the delicate balance of automation and personalization to wow prospects at how consistent and personal I can be in my outreach and follow up efforts. If you’re someone in sales or business development looking to add unique value to your emails, but also want a way to set it and forget it, Sequences is about to become your new best friend. They automate so much of the sales process. Targeting prospects with just the right content, at the right time in their buying cycle, is critical. Automated email sequences from HubSpot create engagement while allowing salespeople to see and target just those prospects that are more fully engaged and ready to speak with the salesperson. It’s a great way to save time. Just as you were playing a game! Allow them to schedule a meeting directly in my calendar for us to talk (Meetings). Follow up effectively with prospects through a series of pre-written emails designed to re-engage or move them to take additional action (Sequences). 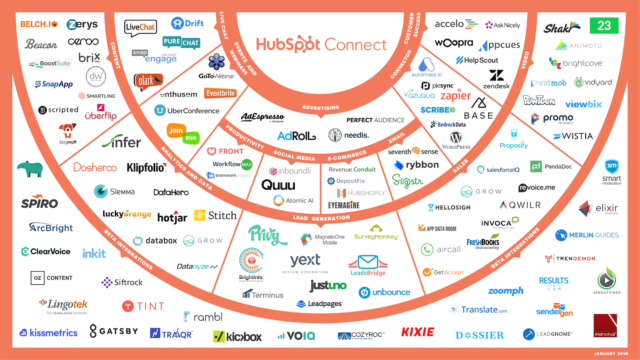 “At Prism Global Marketing, one of our favorite HubSpot “features” is HubSpot Connect, HubSpot’s partnership program for other software companies. HubSpot developers have launched a large number of APIs that allow these third party software companies to integrate with HubSpot’s different software products. These APIs and the HubSpot Connect integrations greatly extend the capabilities of HubSpot and usability for our clients. Our average client uses 5 other products integrated with HubSpot, and we’ve developed expertise in leveraging HubSpot’s integrations with Databox, SurveyMonkey, Seventh Sense, GoToWebinar, SnapEngage, Wistia, App Data Room, HelloSign, and ReadyTalk. As an example, we use Databox to automate our monthly executive reports as it pulls 130+ metrics from HubSpot. 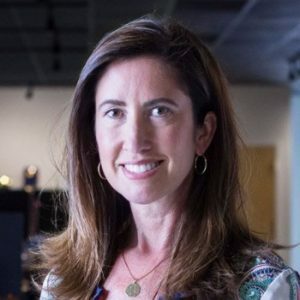 There are an abundant amount of tools available to marketers today and sometimes it becomes difficult to figure out what tools to use, and if they can work together. This is where HubSpot comes in! Our favorite feature of HubSpot is that it’s a one-stop marketing and sales shop to help you execute Inbound Marketing from start to finish! The cohesiveness of HubSpot and its features creates a meaningful connection between marketing and sales. It truly helps when you have all your tools in one place! But, like everything else in life, HubSpot has some shortcomings. That’s why they’ve decided to fill those gaps by partnering with other experts. For this reason, HubSpot has worked with other leaders to develop integrations with numerous applications—including Eventbrite, SurveyMonkey, GoToWebinar, Databox, Wistia—to support marketing effort, lead generation, and overall productivity. Impressive! Favorite Feature: How intuitive the software tools are! The tools are built similarly to one another and they’re all so intuitive. This is super helpful when HubSpot adds more functionality such as the Sales CRM unveiled a couple of years ago – it fits right in with my existing HubSpot knowledge base. I love this feature because it allows myself and the team to stay locked in and focused at work. With the organization of the marketing and sales tabs, the stress of having to piece together necessary features with different tools is eliminated. As a result, we work more efficient, productive, and calm while avoiding the pitfalls of data silos. We love it that HubSpot can be integrated with many other tools and platforms and that you have a one-stop-tool to control a lot of your marketing and sales efforts. I can view sales data (activity, contacts created, deals closed), marketing data (traffic, leads, and customers), and analytics (sessions, bounce rate, traffic source) all within one tool and within seconds. This is a tool that completely aligns sales and marketing because the tool is the same for both. This means that there’s no data loss. Sales and marketing can align their goals with complete transparency on a closed loop. Marketing and sales know every lead that comes in and every deal created, won and lost. HubSpot is an amazing company and an even more impressive tool. As these quotes show, it’s not just an all-in-one platform that can more easily help you grow your business — it’s also a group of best-of-breed tools. Achieving one of these distinctions is hard, but achieving both puts HubSpot in rarified territory. In fact, I don’t know another software company that could rightfully claim to have a tightly integrated, out-of-the-box set of world-class tools. Our CEO here at Databox spent nine years there driving sales. He told me the product wasn’t always awesome. But, as I heard from more and more users, I became convinced it certainly is now. As Databox’s marketing manager, I’m beyond excited to start using it ourselves. We’ve used the CRM and HubSpot Sales product for almost a year. As of this week, we’re new HubSpot Marketing customers too! But, we’re not just customers. With more than 900 mutual customers using Databox’s HubSpot Marketing or HubSpot CRM reports, we’re now also a HubSpot Premier Connect partner, alongside software heavyweights like Zendesk, Gotowebinar, Eventbrite and just a handful of others. Are you using HubSpot? What’s your favorite feature?